NASHVILLE – Nashville Soccer Club had one of the best defenses in the United Soccer League (USL) Championship last season, allowing the second-fewest goals and posting 15 shutouts in 2018. That defense got even better on Tuesday when the club announced the signing of All-League defender Darnell King, pending league and federation approval. 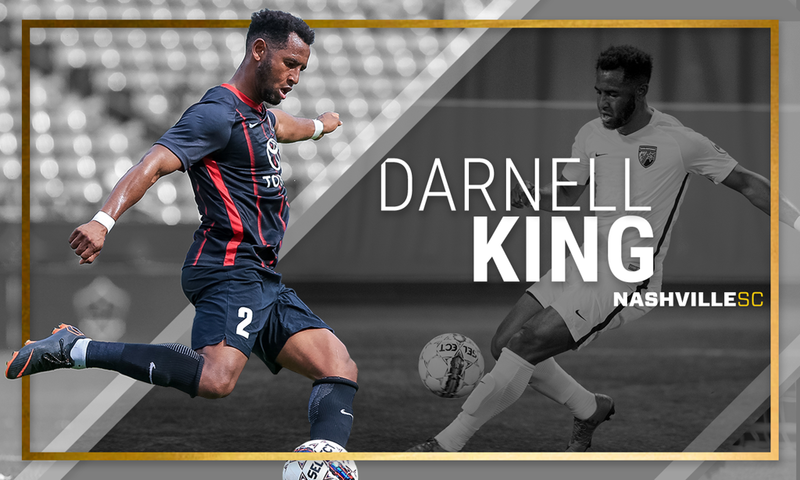 King, 28, is coming off a season with San Antonio FC of the USL Championship Western Conference that earned him All-League Second Team honors, and was the only primarily right back who was named to either the First or Second Team. Starting his professional career in his home state of Florida, King signed with the Fort Lauderdale Strikers of the now defunct North American Soccer League (NASL) and appeared in 75 matches from 2012-2014. He is the club’s all-time leader in appearances. In his final season with the Strikers, King was named to the 2014 NASL Best XI. Before his one year at SAFC, the defender played three seasons with the Tampa Bay Rowdies from 2015-2017 where he was teammates with current Nashville SC keeper Matt Pickens. King was also durable in Tampa, and ranks eighth in all-time appearances for the storied club. Last year, King was a standout with San Antonio, leading the club in starts, minutes, clearances, tackles, interceptions, duels won and aerial duels won. He scored three times in all competitions and added five assists. King will join Nashville SC forward Daniel Ríos and midfielder Lebo Moloto as 2018 USL All-League honorees on the 2019 Nashville squad. Overall, Nashville SC has announced 17 players on the club next season. "I am very excited to be given the opportunity to represent this club, organization, and this city," said King. "I am hoping to bring everything that I can to contribute to the squad and help bring a championship home to the Music City."